Discussion in 'Ancient Coins' started by Justin Lee, Apr 15, 2019. I've been trying to cut down on the purchasing of new coins and instead doing more research and "maintenance" (logging and labeling) of the coins I do have. But over the past 6 weeks or so I have picked up a little more than a handful (7) that I'd love to share with you all. Obverse: Laureate and bearded head of Janus, I above. Reverse: ΘΕΣ-ΣA/ΛΟΝΙΚΗΣ, the Dioscuri on horseback, facing opposite directions and holding lances; grain ear below. Obverse: Male goat kneeling right on groundline. 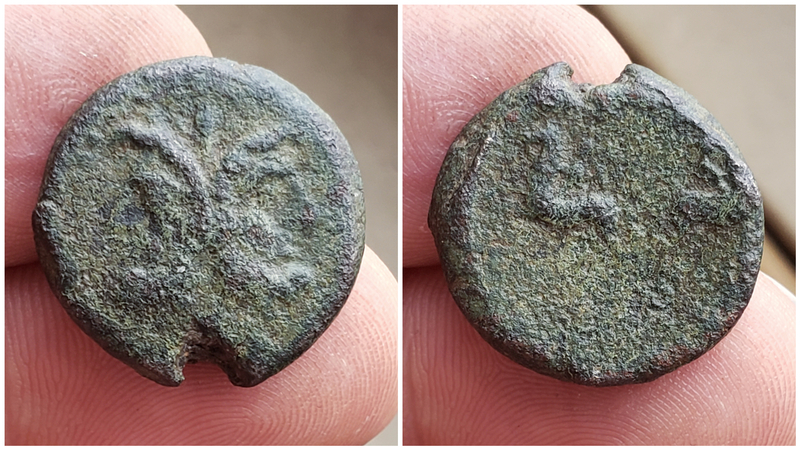 Obverse: CAESAR AV[GVS]TVS DIVI F PATER PATRIAE Laureate head of Augustus to right. Obverse: D CLOD SEPT ALBIN CAES, bare head right. 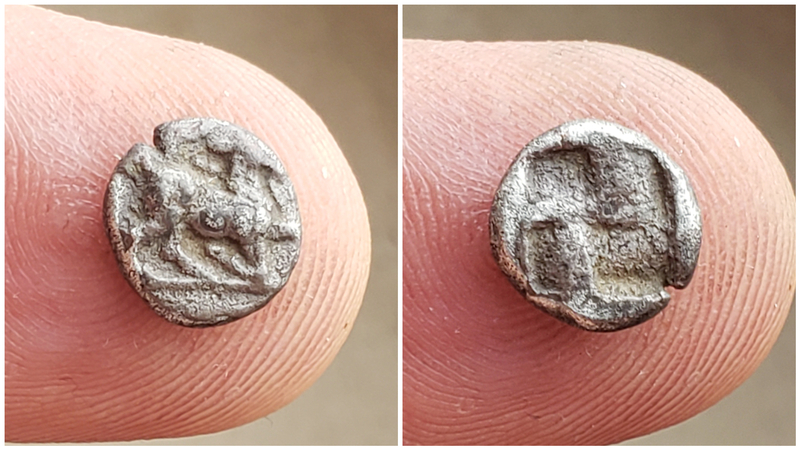 Reverse: MINER PACIF COS II, helmeted Minerva, standing front, head left, holding olive-branch, resting hand on shield set on the ground, spear against arm. 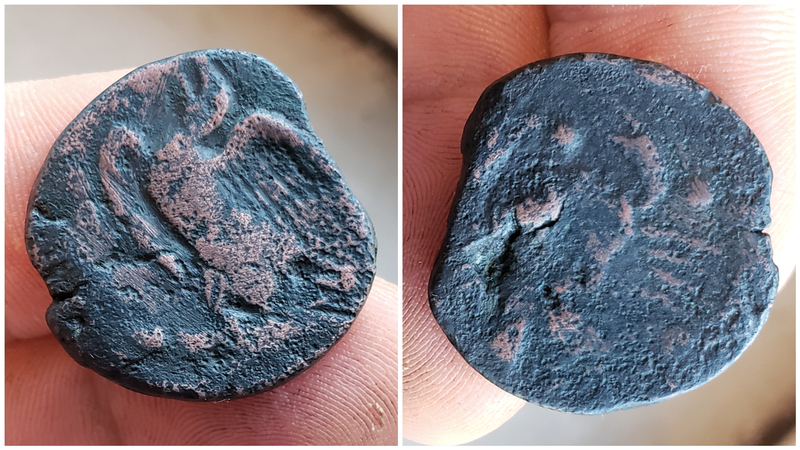 Obverse: [AKP-AGANTIN]-ON, eagle, with head raised, standing left on tunny. 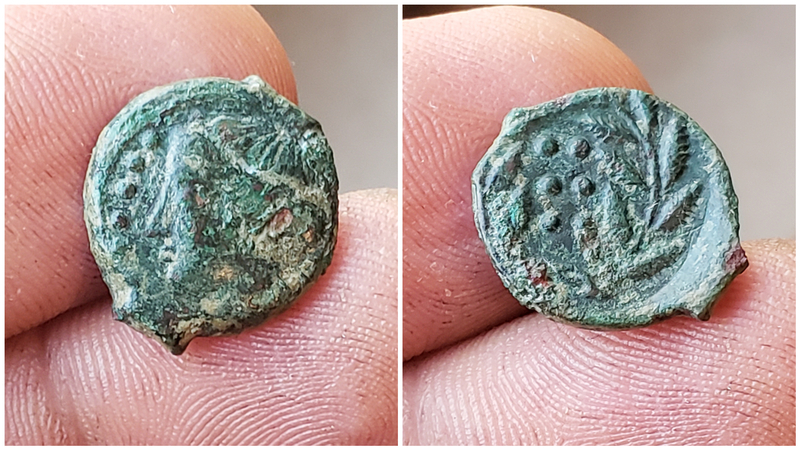 Reverse: Crab holding a serpent in its left claw, conch and cuttle fish below; six pellets around. Obverse: Head of nymph left, hair bound in ampyx and sphendone; six pellets before, [IM-E] behind. Reverse: Six pellets within wreath. Reverse: ΠTOΛEMAIOY BAΣIΛEΩΣ, Eagle standing left on thunderbolt, with wings spread; oval shield to left, control mark A to lower right near eagle tail; all within sold circle border. Limes, Parthicus Maximus, John Anthony and 13 others like this. Great coins Justin!.. all are awesome but I certainly love the Clodius Albinus and the Augustus - mostly because they are on my bucket list. The Thraco Macedonian is one I have not seen before and looks very desirable.. great choices! Just checked - updated already - you're good!! Neat! I like the little one with the kneeling goat and the hemilitron from Himera. Johndakerftw, 7Calbrey, lordmarcovan and 7 others like this. 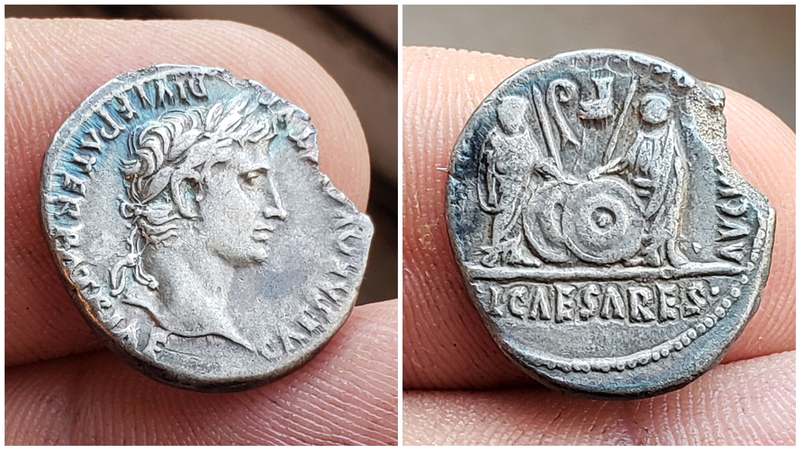 All really nice coins Justin, great portrait on the Augustus denarius. Justin Lee, Johndakerftw and Bing like this. 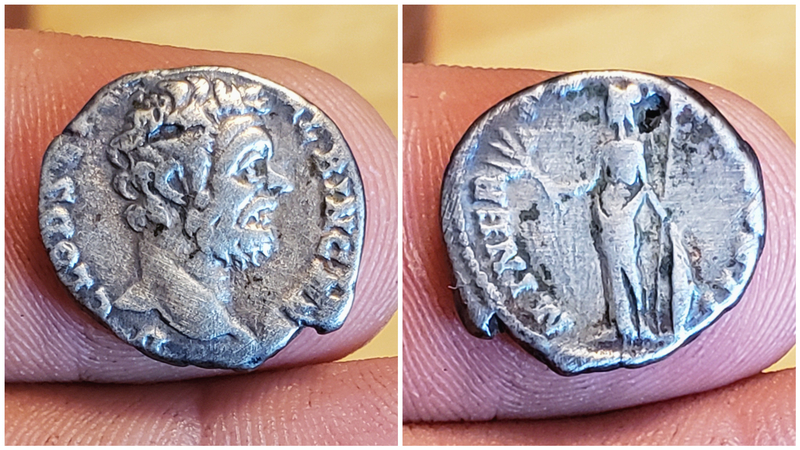 Edge irregularity notwithstanding, that Augustus denarius is very handsome. Love the toning and portrait. And I always like ol' sad-faced Clodius Albinus. @Andres2- that Akragas piece makes me properly "crabby" with envy! 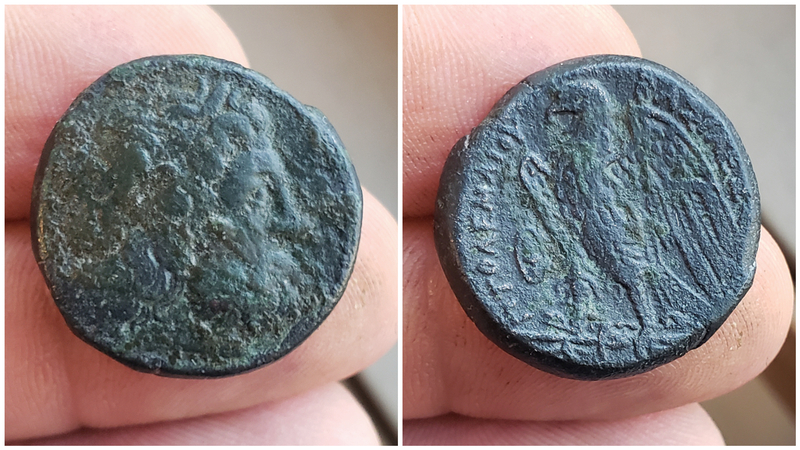 This thread inspired me to go to my archives and dig up the photo of the Clodius Albinus from my first Roman coin collection. Justin Lee, Andres2, Johndakerftw and 1 other person like this.